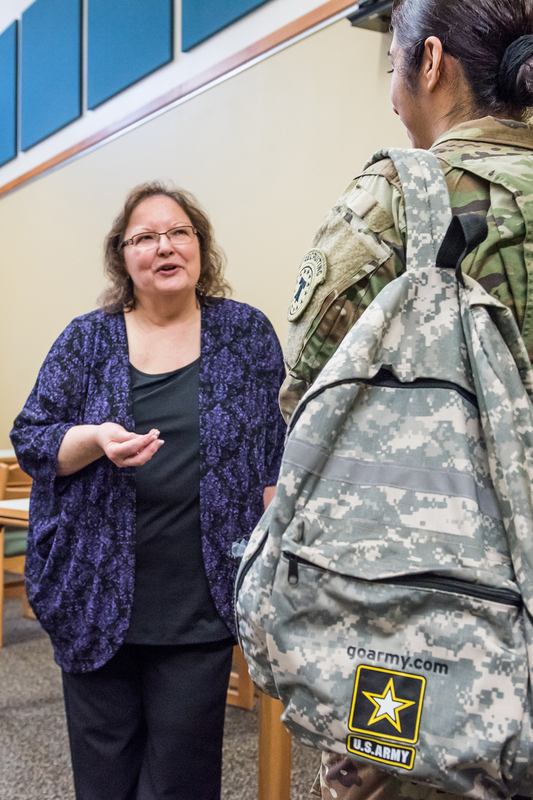 SE Campus hosted the lecture Evolution of Women in the Military Feb. 28 to honor women who served and the advancements women have made from World War I until today. SE English instructor and main speaker Dianne Suarez said she wanted to make a point about what women had to struggle through to prove they were worthy. 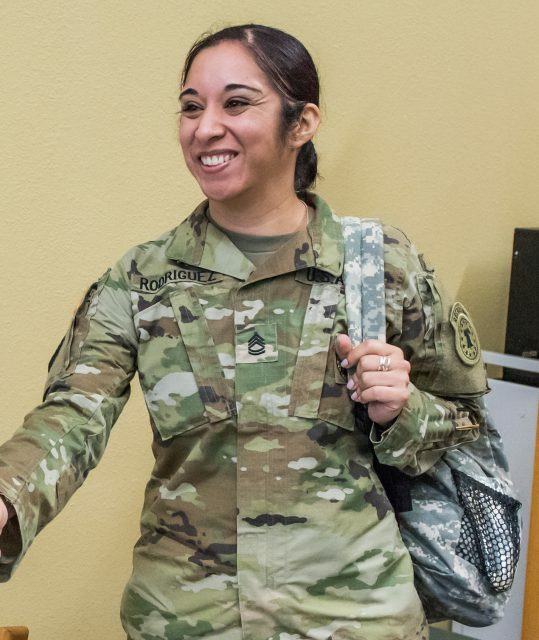 “Having been a female in the military, I felt that the story needed to be told of the progression of women in the military,” she said, adding that although women have made progress, they still have a long way to go. Suarez said that based on her research, World War I opened the door for American women to officially be allowed to join the military in non-nursing positions. More than 10,000 women military nurses served overseas in the same war. Senior military leaders tolerated women’s participation during wartime but were reluctant to admit women in military service during peacetime, she said. In 1976, Suarez’s grandmother suggested she join the military because she did not know what to do with her life. Without hesitation, she listened to her role model and joined. Vanessa Rodriguez, a recruiter from the U.S. Army, came to the lecture. Her lecture also emphasized some information on Virginia Hall, also referred to as “the limping lady.” Hall was educated in Europe during the 1930s and wanted to have a purpose, so she signed up to work in the State Department. But she lost her leg in an accident, which is how she got her nickname. She accidentally shot her leg while on a hunting trip and had to use a prosthetic. Yet she joined the agency that would become the CIA, and in 1944 assisted in the preparation for the D-Day invasion. Suarez said that in the Vietnam War over 7,500 women volunteers were deployed but could not carry a weapon because they were required to wear skirts. About 90 percent of women in Vietnam served as nurses. Cultural Support Teams, or CSTs, came into existence in 2010 allowing women on the battlefield to do tasks that men could not do. Army 1st Lt. Ashley White and Capt. Jennifer Moreno were two of the best known CST members, Suarez said. More than 210,000 women serve in the military with 19 percent of them in the Air Force, 18 percent in the Navy, 14 percent in the Army and 8 percent in the Marines, she said. Four other women who served spoke about the challenges of being a female in the military. Former student Deborah Thomas served in the Navy for 20 years. She said she wanted to travel and felt she wasn’t ready for college. She added that she thought the military was the best route to get a job skill and knew the government would pay for her education later. When asked what she learned while serving, she said she learned how to communicate with different people. Current student Cari Hammond served in the Navy for five years. She was only 17 years old and needed her parents’ permission to enlist. She couldn’t find a job so that led her to join. She was not taken seriously by the men she managed, so she had to be aggressive and ended up getting their respect, which she said made her a stronger woman.